I hope you guys are doing wonderful and giving some serious style goals to your peers. I understand that summer is on its peak and we don’t enough options as compared to fall and winter. But does that mean we can’t up our style game in summer and Monsoon? Well not really. In my opinion your accessories make all the difference and what better place than my favourite Tie Kart to buy some suave accessories for the warm weather. 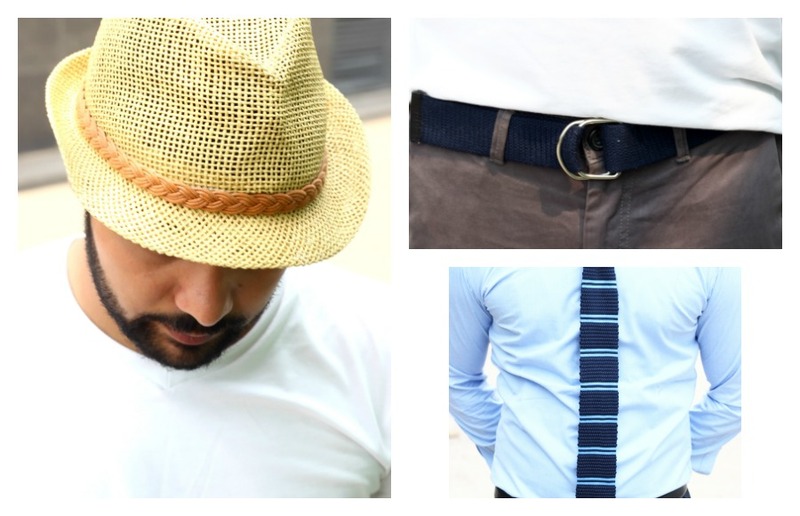 Yeah, there are different accessories for warm weather and they are specially made to keep you cool and stay stylish. So without any further ado here are accessories that will up your style game instantly. Imagine an accessory that will make you stylish and also keep you safe from the harmful rays of Sun. You’re right it’s a Hat, specifically a Straw hat or a Panama, it is a loosely knit hat that keeps the airflow going and saves you from the heat of the Sun. This one again from the house of TieKart will turn all the heads (quite literally). Wearing a hat is not that common, so if you have the guts to pull it off, you’re surely getting attention of the ladies and your peers. If you’re like me and you like the no sock look in the summer, I welcome you to ditch the sock club but here is one issue. Not wearing socks in summer can give you blisters and stinky feet. So a pair of no show socks is something you should add in your wish list, they keep you sweat-free and you still manage to rock that cool sockless look. Isn’t all you can ask for? So, here is my pick on the best accessories for the warm weather, I hope you would like it, do check out TieKart for amazing accessories for all year long. They are my favorite and trust me once you shop from them they will be your favorite too.